Clay Aiken-Answers to Trivia Quiz. Here are the answers to the Trivia Quiz for the other day. I hope you were able to answer them all. Clay thanked his good friend Nick for helping him to feel like his old self. Clay had a starring role in Oklahoma in 1995 at his high school. Clay served up burgers and fries at McDonalds in 2003. Clay said that his idol is Mr. Rogers. On American Idol 3, Clay performed the song Fantasy. Randy Jackson said it was good luck to buy your own album the day that it is released. Clay taught at Brentwood Elementary School. At the age of 4, Clay sang “Mama, Don’t let your Babies grow up to be Cowboys” on the stage of the Grand Ole Opry. “A Clay Aiken Christmas” aired on NBC. 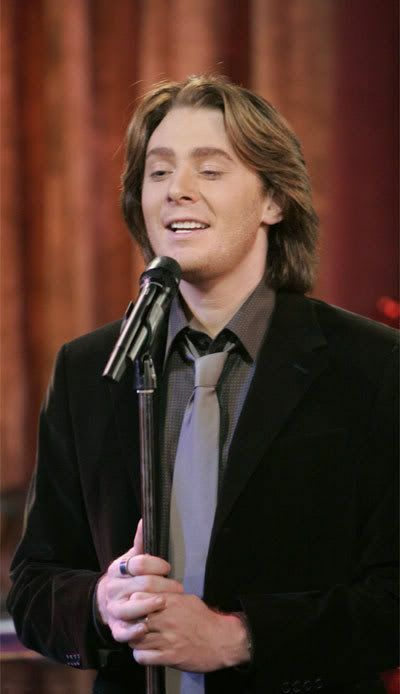 I miss Clay Aiken….where are ya, Clay?! Error: Error validating access token: Session has expired on Tuesday, 21-Aug-18 16:13:01 PDT. The current time is Thursday, 18-Apr-19 11:52:47 PDT.